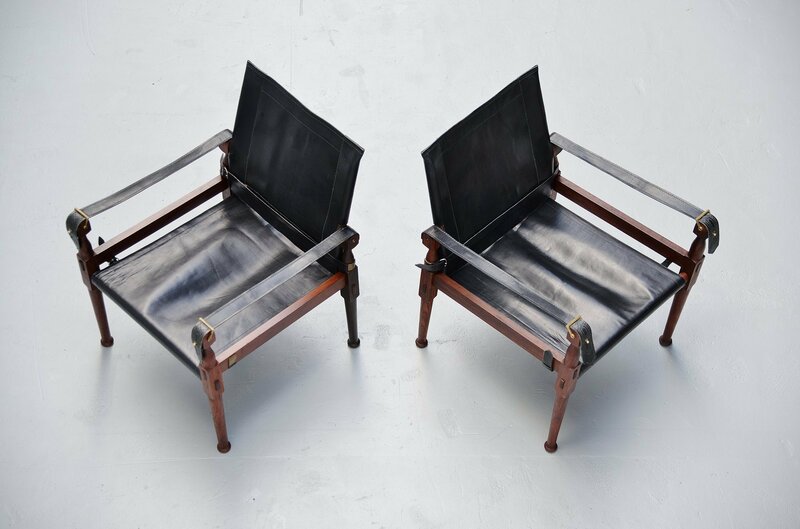 Very nice pair of so called safari chairs designed and manufactured by M. Hayat & Brothers, Pakistan 1970. 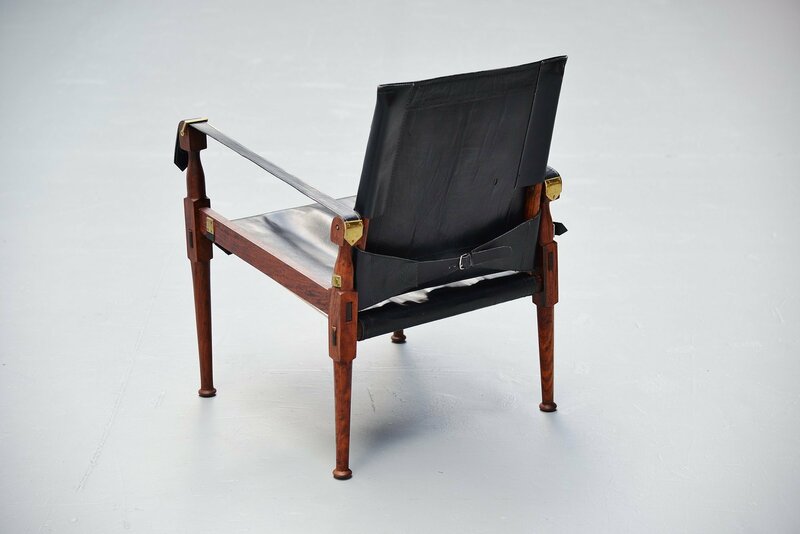 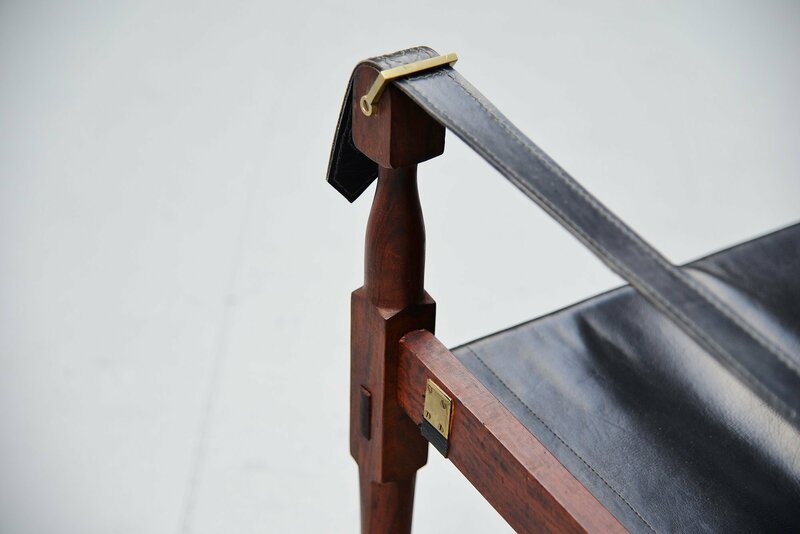 M. Hayat & Brothers produced a lightweight, portable armchair based on the model of the English officers' chairs. 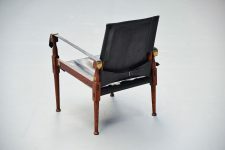 This chairs are easy to disassemble without using any tools, rolled up in a canvas cover and they can be transported easily. 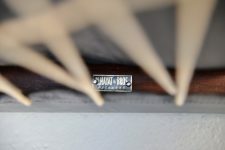 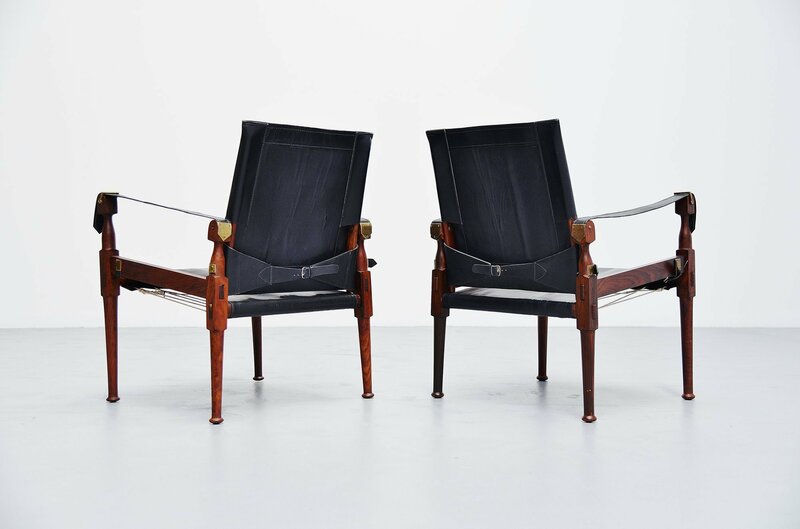 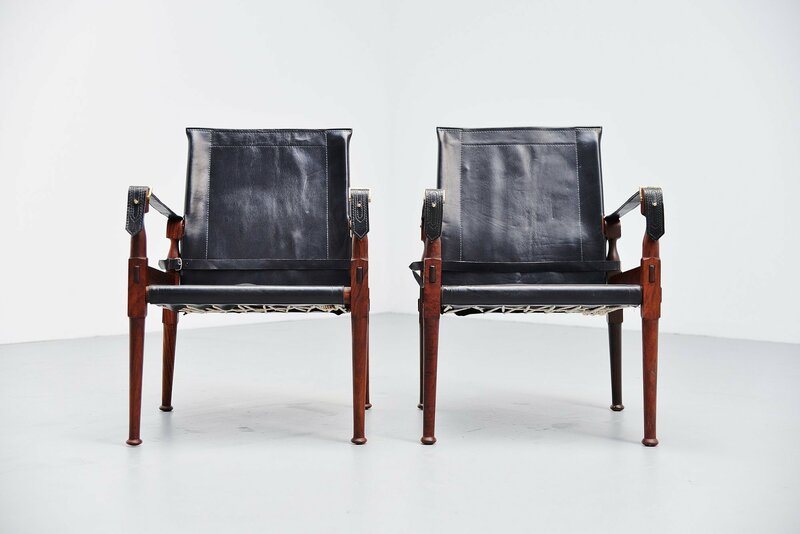 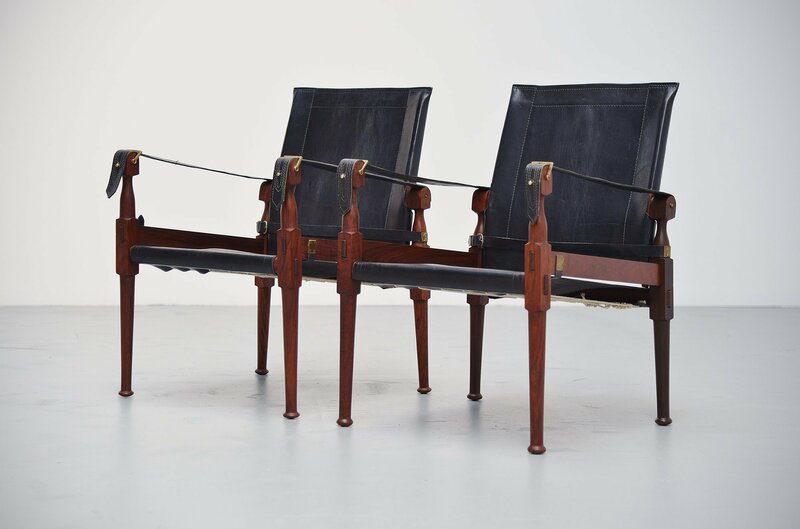 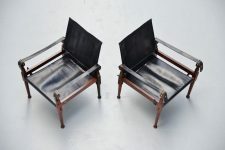 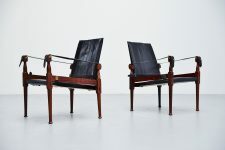 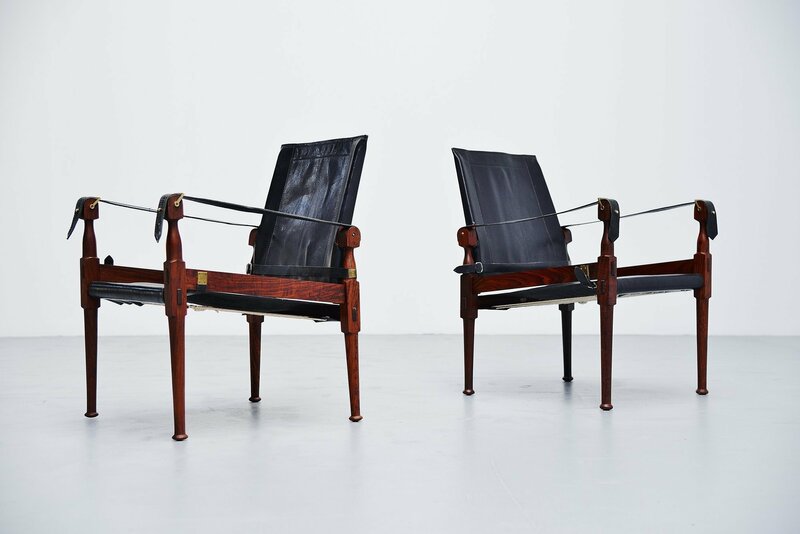 Solid rosewood frames, with black leather upholstery. The furniture manufacturing Company, M. Hayat & Bros is over 140 years old and produces the most beautiful handcrafted solid Rose wood furniture in the world. 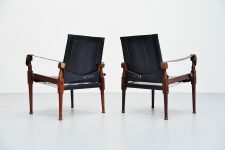 Fantastic set of chairs, signed. 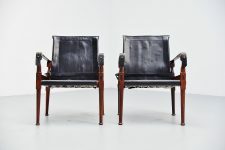 The chairs are in wonderful original condition with nice patina from age and usage. 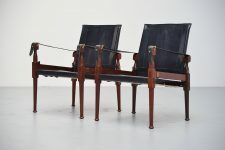 We have 6 chairs available.